loose drums, unfamiliar bassweight structures, bouncing grooves and weighty sub pressure. 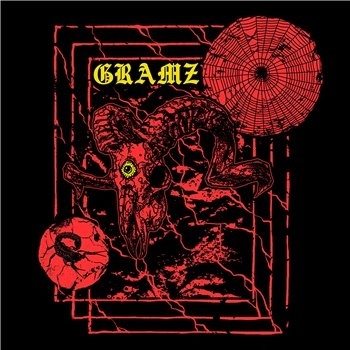 Standing as the introduction to Gramz's Crucial release Jokin Get Them Bags Jokin slowly and unassumingly unfolds with a mushroom cloud of bass and swaying beats. However, the sonic tides change in an instant as the tune silences and then quickly escalates by unleashing a fit of true sound system damage led by seething midrange might. A true dance floor detinator. Get Them Bags proves the genuine power of intelligent restraint and an understated approach to bass music production.